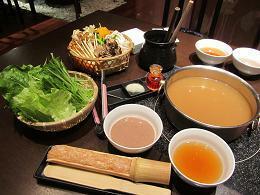 I had a Shabu-shabu dinner with a friend of mine. 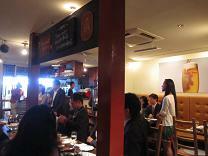 The restaurant was very calm and I totally forgot I was in Shibuya. The thinly sliced pork meat was very tender and is easy to digest. 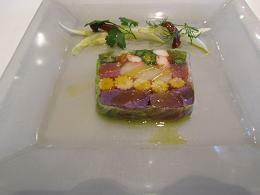 The appetizer was a sorbet style salad of pureed tomato and steamed vegetables with sauce. The plum sake is served with collagen jelly. I expected to have very tender, smooth and vigorous skin the next day. The effect was…well,.. I got some effect…I hope. 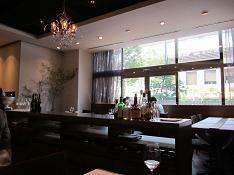 I had a biz lunch with editor Akazawa-san. 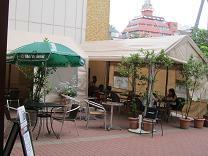 He took me to an open-air-café, Motown, close to Iidabashi station. It seems like a sidewalk-café in NY. He bought me a dry curry pack and some drinks. They serve lunch in a box style. The volume is substantial and it tastes good! In addition to that, it’s really reasonable for 650yen! 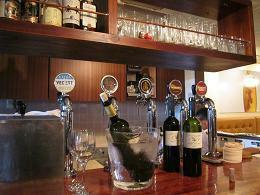 Motown is on Waseda street and 3 minutes walk from Iidabashi station. 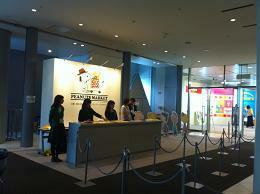 Snoopy’s exhibition for B to B was held at TEPIA, where I walked along with K-san. 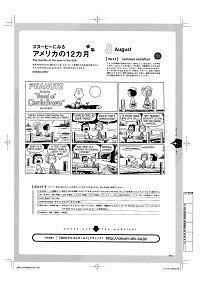 A page of PEANUTS I translate monthly was also exhibited. Also there were many goods with snoopy on them, such as a comforter, stationary, accessories and even underwear. Looking at snoopy things is enjoyable and very good to get a business idea at the same time. This year’s catchphrase for snoopy is…”Happiness is a warm puppy.” Some programs will be on TV in July too. I look forward to watch it. I attended a party, “People who you’d like to see again,” invited by a freelance announcer M-san, held at a pizza and beer restaurant,August Club House, in Roppongi. There were many people from various industries, such as business, bank, TV, radio,magazine and even from the self defense force! We enjoyed chatting away about everything from our own jobs and marriages to the quake, with newly met people over beers and pizza, which tasted really good! I went to Shirokane after a long time. While having lunch with two editors, we just chatted away about our kids, almost the same age, totally ignoring our jobs. We talked about a biz plan only just a little…. The lunch was just delicious and beautifully decorated. What I had for an appetizer(entrée too!) looks like art, doesn’t it? 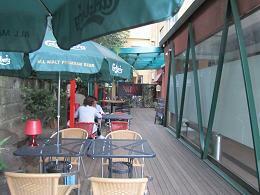 Among the very simple, sophisticated and serene atmosphere, our chat might be echoed. 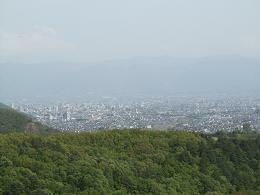 There is a Suntory’s winery at the top of a small hill in Yamanashi. From the top of it, we can see their grape field widely spreading in front of Mt. Fuji. 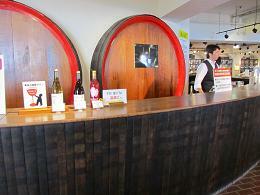 Enjoying free wine tasting, you can find the one you like at their shop. 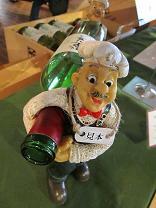 I found a very cool wine holder, which is of two dolls carrying a wine together for 2000yen. It's cute, isn't it? 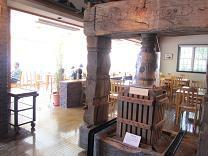 I had lunch with friends of mine from Jr. High at Chirorin-mura. 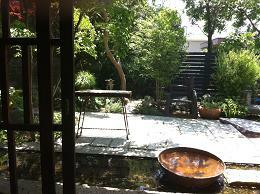 There is a small pond like a tiny river in front of the cafe. Under the sunshine, even the color of leaves reflected on the table and it made me feel as if the space was unified with the outside. It’s really nice to spend time with old friends in the nice breeze at the comfy diner…Actually, it was too comfy to remember what we talked about steadily. The conversation was just about trivial matters, as always. 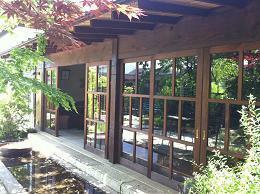 The water from Oshino-hakkai is one of the most delicious waters in Japan, located around the foot of Mt.Fuji. The water is just clear and beautiful. Once you look into the spring, you’ll feel as if you are drawn into it. 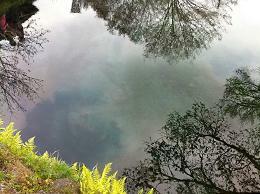 Sky and trees reflect on the water and it seems like a painting of a scene. 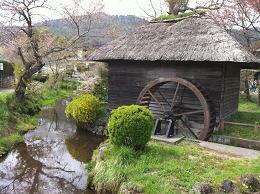 There are old waterwheels and houses and you can enjoy special Japanese noodles and coffee made with that water.